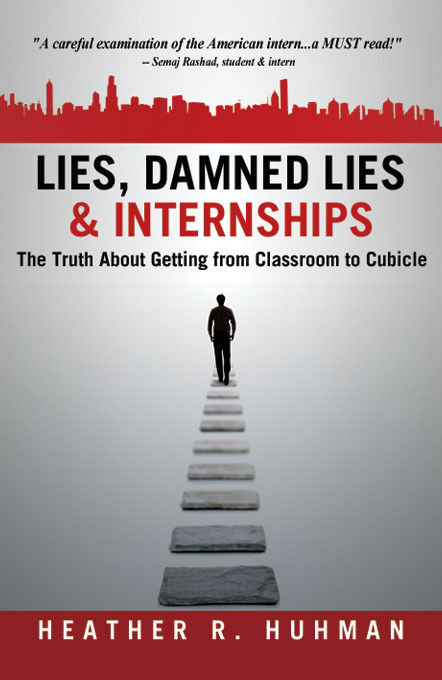 Lies, Damned Lies & Internships � If you are an intern, intern candidate, employer of interns, this is a must read! Only Available as an eBook! These days, going to college and getting that coveted degree may not be enough to land you your dream career. In reality, the job market is so saturated with competition that internships are the latest rung on the ladder leading to the entry-level job. But, have the stereotypes of interns going on coffee runs, making copies, and not getting paid been greatly exaggerated, and even tarnished the process? There are a lot of misconceptions about -- and controversies surrounding -- internships, mostly negative for both the intern and the employer. In fact, internships have essentially become nothing more than a "necessary evil" to many. Let's face it: the system is broken and needs to be repaired. 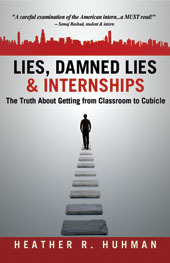 If you are an intern, intern candidate, employer of interns, work in college career services, this eBook is a must read! Heather R. Huhman is a five-time intern, career expert, experienced hiring manager, and founder & president of Come Recommended, a content marketing and digital PR consultancy for organizations with products that target job seekers and/or employers. She is also the author of #ENTRYLEVELtweet: Taking Your Career from Classroom to Cubicle (2010) and writes career and recruiting advice for numerous outlets.